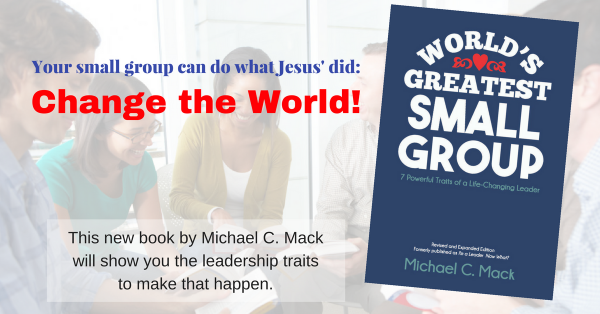 As the small group point person in your church, there is no need to stand alone. Around the turn of the century, God moved in me as a volunteer to launch small groups in our local congregation. I remember the fun, excitement, and passion I enjoyed; those were the days . . . I also remember the pain, heartbreak, and struggles. In rural Nebraska no one knew anything about nor had even heard of “small groups.” I remember the struggles, the confrontations, and accusations of “ruining our church” (code for change). There were seasons when I felt like I had no ally. I knew that I was doing what the Lord had called me to do, but I often felt alone in the struggles. I began reaching out. I contacted our denominational headquarters for info about which other congregations in the area might be doing small groups. They only knew of one, in St. Louis, more than 500 miles away. Crossing denominational lines, I checked with other local churches to no avail. I was familiar with churches in Chicago, California, and Atlanta who were doing groups in a big way. I could reach out to them, but they were so far away. Was I the only one in my part of the world doing groups? Alas, after much searching (literally years) I found them: two churches, both in the early stages of launching groups. They were in different cities and both 100 miles away. I struck up a relationship with Burt and Tony, each leading the groups charge in their congregations. Our relationship started by email, moved to phone calls, and eventually evolved to regularly meeting for breakfast. Each of us would get up extra early, drive more than an hour to meet, talk, and pray together in the dining room of a rural truck stop. These meetings were life-giving for each of us. Together, we discovered that, though our congregations differed greatly, our group-life challenges were very similar. We were able to share “war stories” about what worked and what didn’t work. Together we would discuss our upcoming plans. We would compassionately speak into each other’s’ lives and ministries. In 2007 I was at a small group conference when the speaker shared his vision for a network of small group point people meeting together for support and encouragement “so that nobody stands alone.” As they say, the rest is history. I found my place in the Small Group Network (SGN). Today, there are literally thousands of small group point people connected through the Small Group Network website, newsletters, podcasts, and conferences. And best of all, I get to help connect small group point people around the world with others in their area. We call it a local Huddle. You can connect as well. There are local Huddles meeting throughout the US, Canada, and literally around the world. It’s simple to connect. Just go to http://www.SmallGroupNetwork.com and REGISTER. Then look at the map and find a Huddle near you and JOIN. If you don’t see a Huddle near you, shoot me an email and I will help you connect. It worked for me; it can work for you. As a small group point person, there is no need to stand alone.